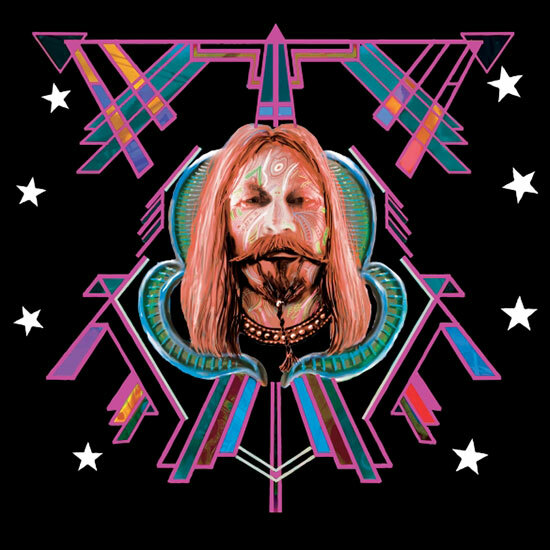 Hawkwind Legend Nik Turner Releases New Album Space Fusion Odyssey Feat. Members of The Doors, Gong, Soft Machine, Amon D��l II & Others! CD or LP Available. Click Here Now! Following the release in 2013 of the most acclaimed album of his solo career, Space Gypsy, Nik Turner is pleased to announced the release of the follow up album Space Fusion Odyssey, out now on Cleopatra Records. Space Fusion Odyssey is without a doubt the most musically ambitious undertaking Turner has ever attempted, stretching his already prodigious saxophone and flute playing skills to create instrumental soundscapes that entrance, confound, and stimulate all at the same time. As with many of his previous releases, Turner has surrounded himself with an incredible crew of fellow musicians who help him bring his vision to life. Dubbed the Interplanetary Arkestra (hat tip to Sun Ra), the group includes some of the most gifted and groundbreaking musicians of his generation such as legendary jazz drummer Billy Cobham, Doors’ guitarist Robby Krieger, Steve Hillage & Gilli Smyth of Gong, Soft Machine�s John Etheridge, Amon D��l II founder John Weinzierl and many more! Space Fusion Odyssey is set to land in July of this year courtesy of Purple Pyramid Records. Following the albums release, later in the year The Spirit Of Hawkwind 1969-1976 will be published, the definitive biography of Hawkwind�s early years as told through the eyes of Nik Turner and written by music historian Dave Thompson. The hardcover book contains over 250 pages of rare and unseen photos as well as a comprehensive discography – a feast for Hawkwind fans everywhere.